I got a lot of messages and questions about how to use open source tools to work with architectural visualization or even technical drawing on Linux. Besides the questions about Blender that I got in my classes and presentations, the most often question is about an open source alternative for AutoCAD. People always ask that right after I show some of my projects on Blender and mention that they were completely created with open source tools. Since this is a common question, I decided to put up a list of the tools I know that could work like a free alternative to AutoCAD. This list is for to show all tools. 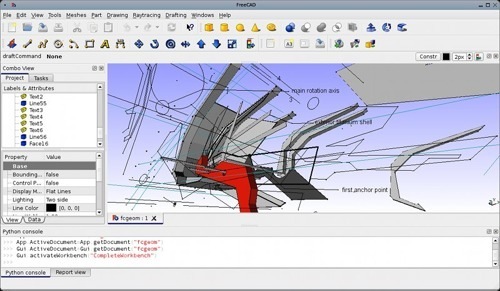 In fact, if you know any other tool that should be on that list of open source CAD softwares, please suggest it in the comments and I will add it to the article. Do you know any other project or alternative that should be listed here? I’m always read your blog with pleasure, thanks for it. There is new russian product called nanocad. It very powerfull, has some interesting tools for working with raster images, supports dwg. Its completely free (base Nanocad) for home and commercial use except more specialized satellites (those paid by year subscription and cost lesser than Autodesk products). Maybe its not the problem for making int. version. Google thanslate can help you. I recently started working with DOUBLECAD. I Thought I got it from your site, perhaps you forgot to mention it in your list or perhaps you changed your mind and don’t like doublecad anymore. 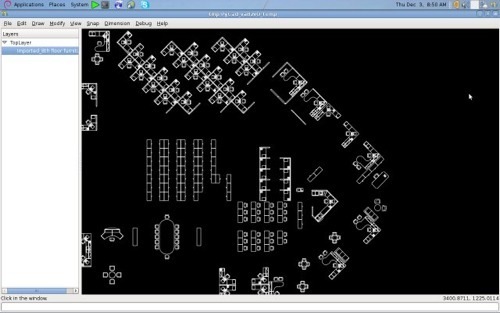 I think it is the most complete compared to autocad. Im not sure yet if this is a good program. It’s not open-source but it’s free and will be available to all three major platforms (Linux, Mac, Windows…for now Windows only) by the end of the year.  DraftSight by Dessault Systemes (SolidWorks team). Thank you so much heathenx, I just have download draftsight and it works great on Ubuntu via wine! * QCAD -> Poor aplication. Whitout support. * FreeCAD -> Great work!! * BRL-CAD -> Only for military use and It has bugs. * PythonCAD -> I think it is a very early development stage. Doublecad XT is not Open Source, just free. Cademia is Open Source. Good work! I think this is a great blog! It’s GPL v2 as far as I know, uses OpenCASCADE (like FreeCAD and HeeksCAD). Probably Windows only because it uses C# and Ribbons.